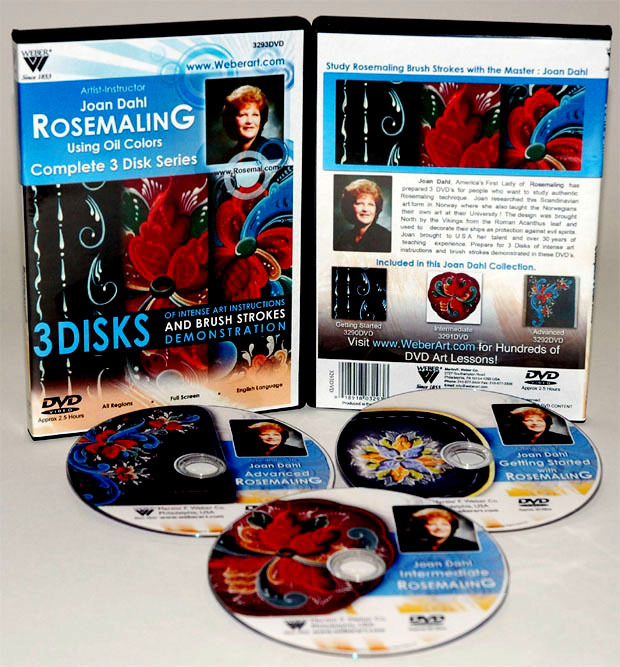 * Joan Dahl, America’s first Lady of Rosemaling has prepared 3 DVDs for the person who wants to study rosemaling. * Joan learned her trade in Norway. * She brought her talent back the USA and has been sharing with those interested for years.